A lot changes inside your children’s mouths between the ages of 6 and 12. By the age of 12, almost all of the permanent (adult) teeth will have erupted. In fact, more or less the whole eruption process of the adult teeth take place during this time. Although some children's permanent teeth begin to come in slightly earlier than 6 years old, and though wisdom teeth typically erupt in the late teens or early 20s, between 6 and 12 is when the most significant permanent tooth eruption takes place. Many parents find this time a particularly cute one in their children because they’re mouths are almost always missing a tooth or two, which can be quite endearing. And there's also the excitement and fun of regular visits from the tooth fairy! 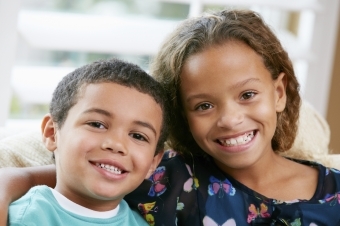 By 6 years old, most kids can brush and floss independently, with some supervision. By the time they’ve reached 12, children should have a complete understanding of the importance of regular dental hygiene, and can brush and floss carefully and scrupulously on their own, provided they’ve had appropriate guidance growing up. On the other hand, 12-year-olds are also at a point when they’re just entering their teen years. Th is could mean that they can start feeling little more independent and even rebellious. As a result, parents may have to reassert the importance of good oral hygiene. A lot of this will depend on your child’s personality, his or her past oral health care experiences, and how meticulous the oral hygiene routine has been throughout childhood.